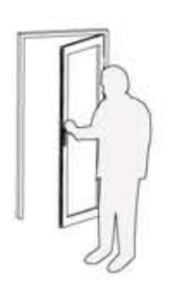 Hinged Security Doors are often the first line of defense for home owners. Hinged Security Doors are well suited for newly constructed residential and commercial applications. Our Hinged Door system comes with Euro Groove construction design with hollow extrusion, independent sub-frame system, and European style security hardware. This system is installed with multi-point locking system to provide you with the highest level of security. Meshtec™ products incorporate high levels of protect ion, clear views and air circulation without compromising the style or appearance of your home.